Pitch Perfect 2 soundtrack featuring Jessie J's Flashlight soars to No.1 spot on the Billboard 200, beating out last month's Furious 7 soundtrack and becoming one of the best movie soundtracks worth a download in 2015. Speaking of Pitch Perfect 2 soundtrack download, you never lack the way to achieve it. You can get the single from iTunes with a price tag $9.99, or pay $9.49 on Amazon. But why pay for it when free solution is available within a few seconds? 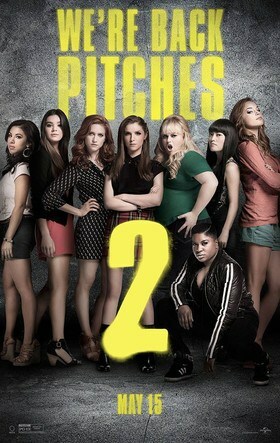 Free Download Pitch Perfect 2 Soundtracks from YouTube, Vimeo, Vevo, etc. A must-have free music downloader will accomplish the task, that is MacX YouTube Downloader. It downloads the movie songs free from sites like Soundcloud, MP3 Skull, audiomack, etc. Any videos or music videos in 1080p, 720p or even 4k resolution can be captured from YouTube, Vevo, Vimeo, Dailymotion without a hassle. You are free to download flashlight, Riff Off, Crazy Youngsters, World Championship Finale, etc. within merely 30 seconds. It is virus-free, no spam, no ads, no malware. Ease of use is also a plus. Step 1: Free download the YouTube downloader, and run it on your computer. Open the song Flashlight, copy, paste the song URL to the box frame and then click "analyze". Step 2: Choose Pitch Perfect songs format, MP4, FLV, AVI, MP3 etc, resolution and file size. Step 4: Click "Download Now" to start to download Pitch Perfect soundtrack. Its advanced version MacX Video Converter Pro is also available, not only allowing you to download Pitch Perfect 2 songs such as Flashlight, Riff Off, Crazy Youngsters or so, but also download and convert the video files be it FLV, MKV, 3GP or HEVC to a format playable by Android Apple devices with zero quality loss and 83× faster speed. By the way, you can resort to the smashing video downloader & converter to download Pitch Perfect 2 movie. Jessie J's Flashlight is the biggest winner of songs, and the only hit that can compete with Anna Kendrick’s Pitch Perfect ditty "Cups". You can also follow the tutorial and complete Jessie J Flashlight download. "Hell yeah, we're crazy youngsters, won't apologize, we're mad and runnin free...", dance anthem Crazy Youngsters is another potential single to sit Billboard Hot 100 spot, yet a perfect pick me up. If you are gonna download Pitch Perfect 2 soundtrack, put Riff Off on the list. Following Flashlight's big success, the buzz Riff Off is likely to be the song of the summer. It is still a long way to go, however.